The Holden Beach Turtle Watch, or Turtle Patrol as it is usually referred to, was founded in 1989 to monitor and protect the sea turtle population on Holden Beach. This all volunteer, nonprofit conservation organization operates under the authority of the NC Wildlife Resources Commission. The program currently has approximately 65 members. Learn more.. Starting in May, volunteers begin a dawn patrol of the beach searching for turtle crawls and possible nests. Once a sea turtle crawl is found, a team of turtle patrol volunteers assembles at the crawl location to find the eggs. If the nest is in an unsafe location, the nest will be carefully moved to a safer area on the beach. The nest site is then covered with a protective grating and marked off with stakes, ribbon and a warning sign. For the next 50-70 days of incubation the nest will be monitored for signs of an impending hatching. At that time, turtle patrol members will start a nightly watch on the nest until all of the hatchlings are released. The nest is then opened and an inventory is taken to account for any unhatched or non-fertile egg and insure that all live babies make it to the ocean. This process is repeated with each and every nest. The season ends in October when the last nest hatches. Please only call this number for turtle emergencies! This refrigerator magnet should be in every beach front home. If not contact your rental agent or any turtle patrol member you see on the beach. T-Shirts now available by mail! Even if you can't make it to Holden Beach this summer, you can own this year’s HBTP Shirt. The shirts are now available by mail. 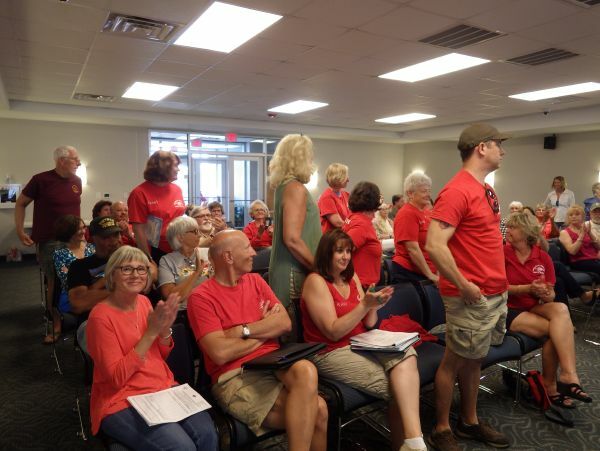 The Holden Beach Turtle Watch Program held their annual meeting this on April 13 at the town hall. Welcomed as full-fledged members were last year's " trainees" who have successfully completed all required activities. New trainees for this year were welcomed. This year's Project and Beach Coordinator will be Pat ...click to read more of this news article. They are in! The 2019 official Holden Beach Turtle Patrol T-shirt is now available. 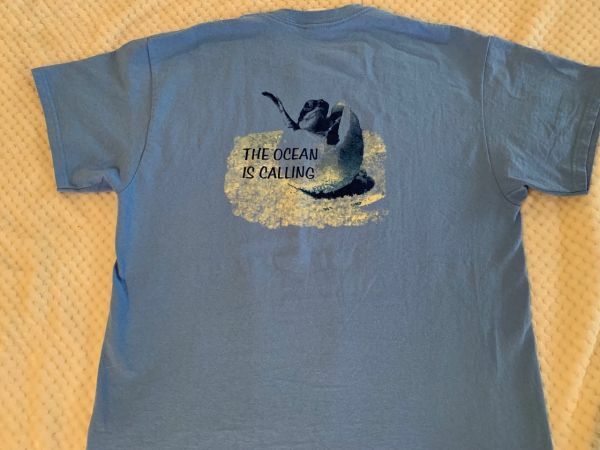 This year's theme is "The Ocean is Calling" and features a baby turtle crawling from an egg on the back and the HBTP logo on the front. Locally they can be purchased at Lighthouse Gifts on ...click to read more of this news article. It's almost turtle time for 2019. The Holden Beach Turtle Patrol's Annual meeting is set for April 13, 10 a.m. at the Holden Beach Town Hall. Officers will be elected and new members welcomed. If you're interested in becoming a Turtle Patrol member don't wait until this meeting. Now is ...click to read more of this news article. 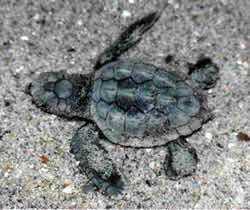 You can view Holden Beach Turtle Watch Program Historical Data here. As recommended by the NC Wildlife Resources Commission, it is the policy of the HBTP to NOT disclose the locations or potential hatch dates of active turtle nests on our beach. A listing of nest locations will NOT be published in newspapers, on this website or on other social media. Please don’t call the emergency number or contact the webmaster to ask about nests. This is for the safety of the turtles! Click here to visit 'The Turtle Patrol Cinema'. The Town of Holden Beach is located midway between Wilmington, North Carolina and Myrtle Beach, South Carolina -- about 40 minutes driving from each. The Town is situated on an Atlantic coastal barrier island, facing south onto the Long Bay region of Brunswick County. I-95 from the north and south, I-40 from the west and US-17 south from Wilmington or north from Myrtle Beach leads to Holden Beach -- approximately 3 hours from Raleigh, or 4 hours from Charlotte or Greensboro, or 7 hours from Asheville. For more map detail of Brunswick County, go to Brunswick Islands, and then click on "Maps". Like: Holden Beach Town Hall Facebook page for turtle updates. Thank you for buying our t-shirts at turtle talk and at the Lighthouse Gift Shop. This is how we make money to finance the Holden Beach Turtle Watch Program (like buying a new 4 wheel drive ATV). Thank all of you who let us use your walkways and visited with us on the beach night after night. You will never know how much your support and friendship on the beach means to all of us.